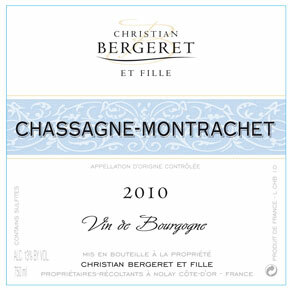 Christian Bergeret started working at the age of 14 with his brother Daniel. His youngest daughter Clotilde joins him in the 2000s. They produce white and red Burgundy. People often ask me – how do you find these producers? Sometimes, I admit, I use more traditional methods such as large tasting geared towards professionals or wine reviews and even occasionally, gasp! the internet. But, more often than not it is the fact that I live in Meursault, in the heart of the Cote d’or and am in contact with wine and winemakers every day. This domaine is located in the quaint little town of Nolay about 8 kilometers west of St. Aubin. As I live in Meursault I always keep an ear to the ground – who are the up and coming winemakers? Where is there a son or daughter taking over and making huge qualitative differences? What do the locals drink? My fiancée attends a sewing class in Nolay and asked a woman she sits next to, explaining that I was a wine importer, to recommend some places to her. The woman recommended her own son who makes wine with his sister, an oenologist. I tasted there, but the wines were not my style. He, in turn, recommended three winemakers that he admires. And you guessed it one of those was Bergeret. 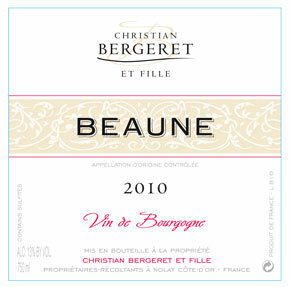 If you want to drink a true, hearty, delicious Burgundy look no further. This IS literally what the locals drink. Most of the wine is sold to her loyal clients that buy directly from her. 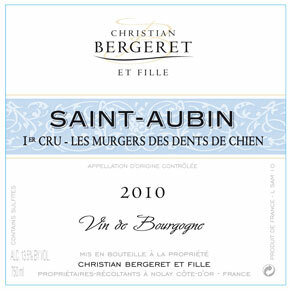 In fact, for certain wines such as their Pommard 1er cru Chalins en bas there is a 3 year waiting list and other wines such as the St. Aubin 1er Cru murges des dents de chien they are sold out several months after bottling. We were VERY lucky to get a very small quantity of that wine. This is a wine that makes me happy to be an importer. Most other importers would not touch this domaine – not because the wine is bad (it is of course excellent) but because the quantity is so small. For many (not all) it would be not worth the paperwork, the time and the energy to bring in 10 cases of wine. However, for us that is the core of what we do. We love being wine importers because we have the unique ability to introduce consumers to wines that, if it was not for us, they would never have. 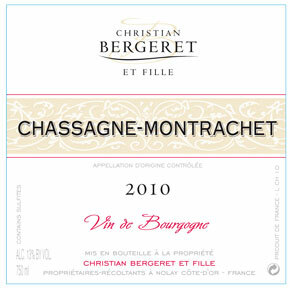 Christian Bergeret started working at the age of 14 with his brother Daniel. They took over from their father Eugene and uncle Raymond. In the 60s the two were farming land owned by someone else, but by the 70s they were able to purchase some parcels of land in Pommard and in Beaune. In 1982, Christian and Bernadette created their own domaine – in addition to the vines they had acquired in Nolay and Cormot (Hautes-Cotes-de-Beaune) they also inherited 3 hectares of vines spread out over the communes of St Aubin, Chassagne Montrachet and Santenay. It wasn’t until Clotilde burst onto the scene in 2000 that the domaine decided to bottle their wine instead of selling it off in bulk to the large negociant houses. Clotilde is the youngest of Christian’s 3 daughters. Although it’s very common to see “…and sons” here we see et fille or “….and daughter” when I asked Clotilde about it she simply said “Papa did not have much of a choice, he made only girls.” Clotilde is the 6th generation of Bergerets to work in the vineyards and was joined by her husband Pascal in 2007. The domaine now has 15 hectares of vines (62% red and 38% white) with an average age of 35 years. The wine is made in a way described as " traditional Burgundy winemaking:" More specifically, the entire harvest of hand-picked, hand-sorted fruit is 100% de-stemmed and foulées (crushed, trodden) then put in concrete tank for maceration of about 15-18 days. 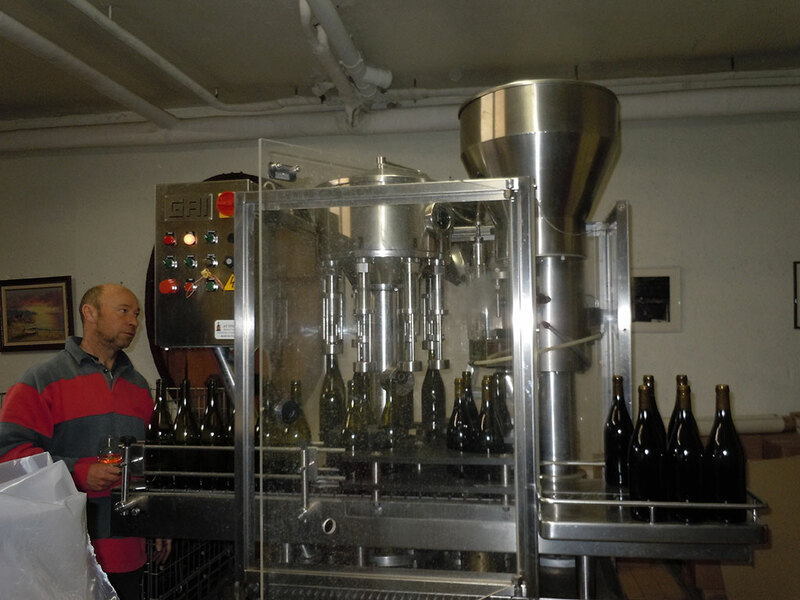 Temperature and density are closely monitored by the winemaker. 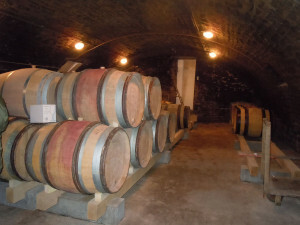 After the alcoholic fermentation is completed (note that only indigenous or natural yeasts are used) the wine is given time to settle before it is transferred into oak barrels (20% new oak). The malolactic fermentation is done in oak over the winter and the wine ages in oak for 14 months and then in the bottle for another year before being released. The grapes are harvested in the early morning so they can be kept cool. They grapes are pressed at their arrival in the winery and then stay in tank for only 24 hours – they are then transferred to the oak barrels, so they are in oak 2 days after harvest. The wine goes through both malolactic and alcoholic fermentation in oak. Yeast is naturally occurring and not added. 1/3 of new oak is used. Depending on the vintage the wine stays 10-14 months in oak.